YoYoExpert Blog & Yo-Yo News – Halloween Sale at YoYoExpert! 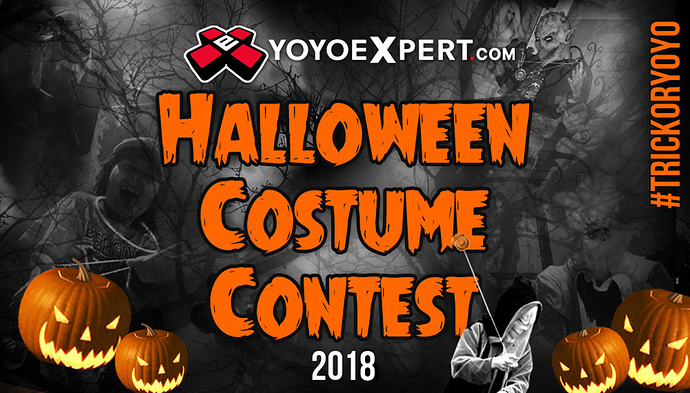 YoYoExpert October 31, 2018 Comments Off on Halloween Sale at YoYoExpert! Happy Halloween! For some Halloween fun we created some ‘special’ sale prices on yo-yo colors that are ‘ORANGE’ or ‘BLACK’! Click around on this page – and find the orange and black to see the sale price! VIEW THE HALLOWEEN SALE HERE! Also be sure to check out our costume photo contest on the forums here!